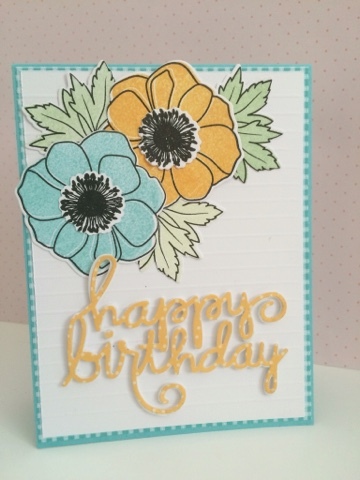 The challenge - to create a project using one of the 'masters' inspired coloured schemes featured on Nichole's blog. I chose this scheme, based on the gorgeous work by Renoir. The challenge - to create a starry night background for a project. I really wanted to give this a go because I think the background would be perfect for Christmas cards. Yes, it's time for another PTI Stamp-a-Faire event. A day of great inspiration and challenges on Nichole's blog. Do hope that I'll be able to take part in some of the challenges. First up is the chance to share a project for the Masterpiece Gallery reception. 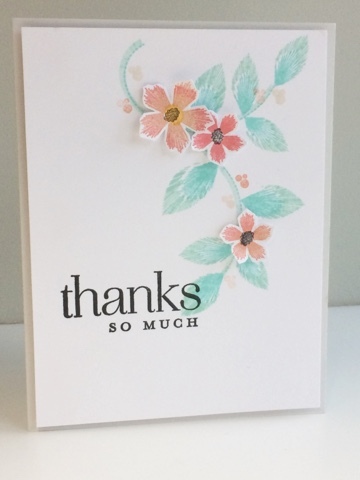 Not sure that I'd describe this as a 'masterpiece' but here's a card I've always been proud of. I recently bought some stamps from Altenew and I have to say I'm very impressed with them. 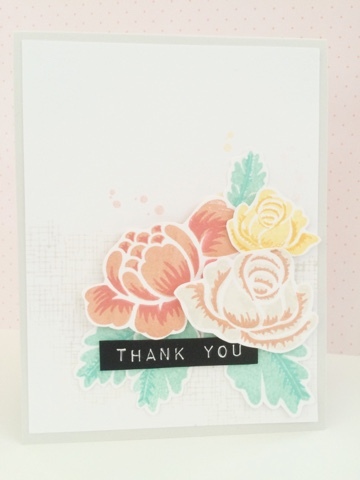 The layering stamps, in particular are so detailed and produce such realistic images. 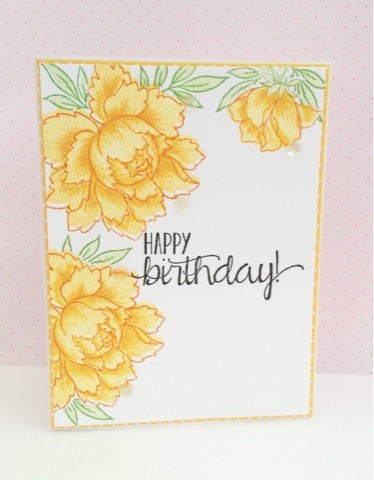 Here's an example with one of my new favourites- Peony Bouquet. 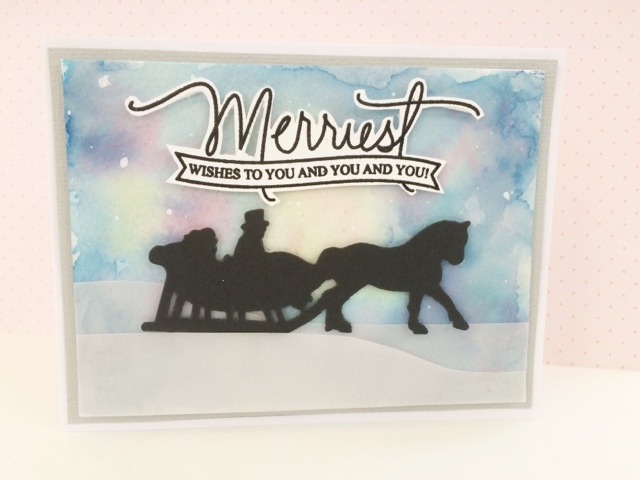 I've been having great fun trying out different cut files with my Cameo. 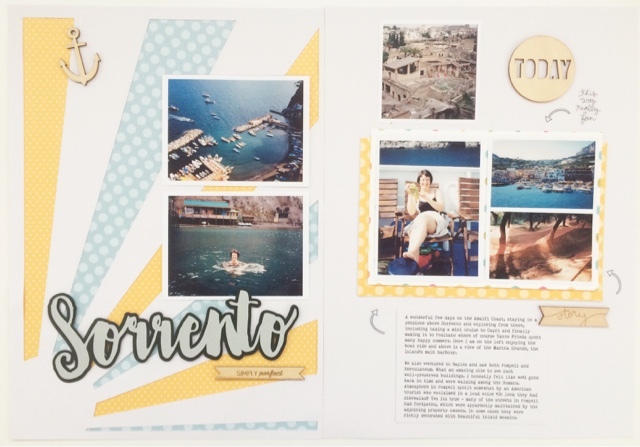 Here's a double page layout with some more photos from another trip to Italy - this time Naples and the Amalfi Coast. The script font on the left is 'Bonjour', by Nicky Laatz, which I found on Creative Market a wonderful site for fonts, graphics and more! I Italy is definitely one of my favourite places to visit and I've been enjoying reliving some of this memories while working with some older photos from travels in the early 19902. 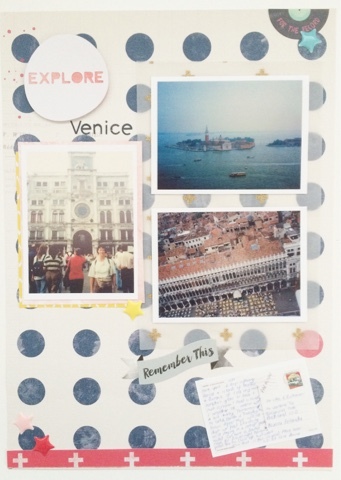 Here's a layout featuring some photos from Venice. And I even managed to include a photo of a postcard I sent home at the time. I've been enjoying my Story kit subscription, although I haven't done anything with the last few kits yet - too many other projects on the go. But here's a look at a layout using the 'Craft' kit from a few months ago. I was very pleased to get a craft project from my little niece - a cute handmade penguin. 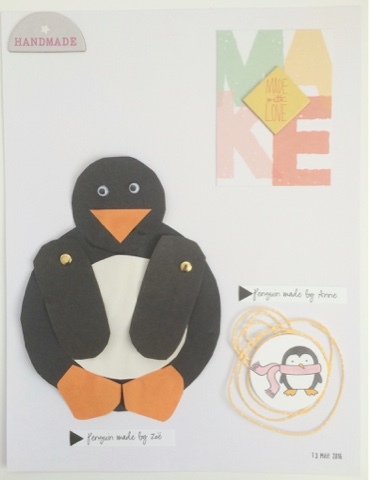 I thought it would be fun to turn it into a layout and made a penguin of my own to accompany it!